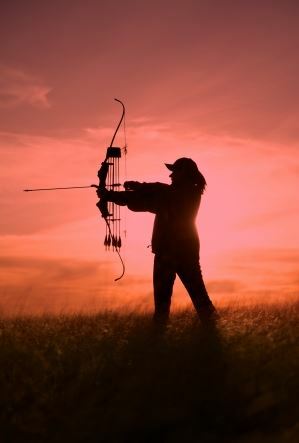 Hunting with a firearm and hunting with a bow can both provide you with fun and challenging experiences. But there are many hunters who enjoy the extra physical and mental challenges that often come along with bow hunting. Take a look at a few of the other reasons why you should consider going on a bow hunt sometime soon. Bow season is often longer than firearm season in many areas. While this isn’t always the case, bow hunting season is usually longer than firearm hunting season in most regions. That means that, if you want to hunt for certain animals during certain times, you might have to do it with a bow as opposed to a firearm. Bow hunting will, therefore, give you a bit more flexibility as far as when you can hunt. Bow hunting is much quieter than firearm hunting. One of the challenges firearm hunters face is that, once they let off a shot while hunting, they reduce the chances of others having any success in the area. Taking a single shot usually sends animals scattering everywhere and will make it more difficult to find anything to hunt. However, with a bow, very little noise is made. That will increase your chances of bagging big game and help you avoid disrupting others who are hunting. Hunting with a bow will level the playing field between you and your prey. There are a lot of hunters who enjoy the fact that they really have to work to take aim at an animal with a bow. They have to, in a sense, outwit their prey in order to be able to get close enough to them when they let off a shot. In some cases, they are only 15 or 20 feet away from them. That provides a rush of adrenaline and also requires a lot of patience and technique, which is what makes bow hunting so attractive to some hunters.